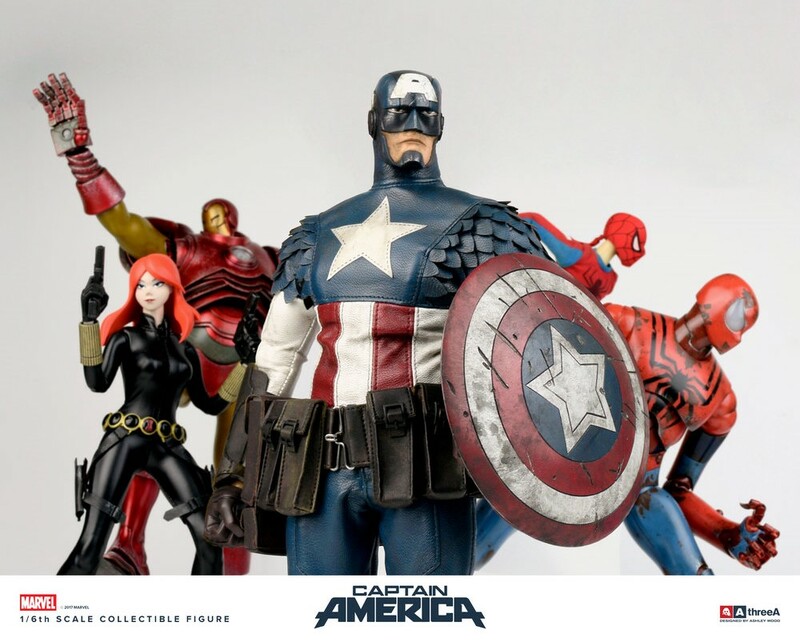 ThreeA has unveiled the sixth figure in its epic ongoing line of stylized Marvel 1/6 scale collectible figures, and it is Marvel’s Sentinel of Liberty, Captain America by Ashley Wood! Ash brings the leader of The Avengers into the modern world by blending elements of Steve Rogers’ unmistakable historic comic book outfit with contemporary tactical fatigues – all deftly tailored including the classic layered scallop detailing. 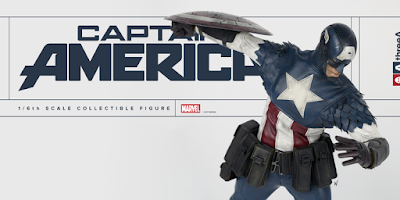 But it just wouldn’t be a Captain America figure without his iconic signature shield! 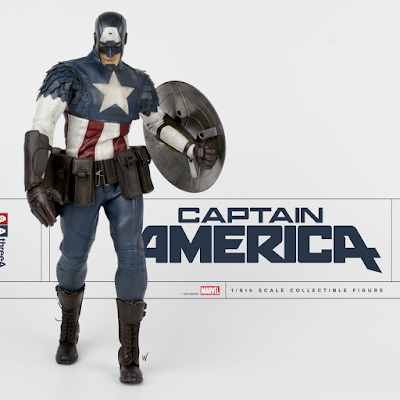 For this release, ThreeA has added magnetic detailing to Cap’s shield that gives it the ability to be stored on his back and on his faux-leather arm bracers. The Marvel x ThreeA Captain America 1/6th Scale Collectible Figure by Ashley Wood stands 12.7” tall, features 30 points of articulation, comes wearing tailored fabric clothing, and includes 3 sets of interchangeable hands, 1 set of faux-leather arm bracers, and 1 set of faux-leather boots. The Marvel x ThreeA Captain America 1/6 Scale Collectible Figure is currently available for pre-order at Entertainment Earth for $239.99 here.